Located directly on the shores of the Indian Ocean on Bamburi Beach, approximately 12 kilometers from Mombasa Town and 20 kilometers from Moi International Airport. Mombasa is the second largest city of Kenya and is famous for the Portuguese fortress Fort Jesus, guarding the Old Port and Old Town. Nestled under palm trees with plenty of space to relax. The hotel is also popular with airline crews, because we offer several attractive crew servies and because of its proximity to the airport. For the last 35 years Severin Sea Lodge has been renowned for it's hospitality to its regular guests, who enjoy the excellent cuisine and the friendly and considerate service. 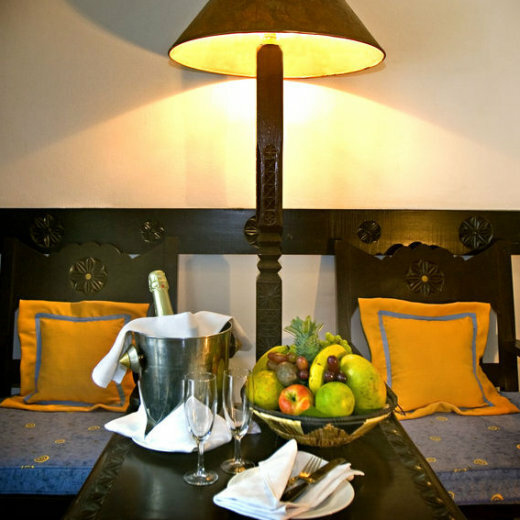 Severin Sea Lodge has 188 rooms divided into different categories: the comfortable Karibu Class rooms in traditional Arab style, the luxurious Comfort Class rooms and suites with custom carved Lamu furnishings. 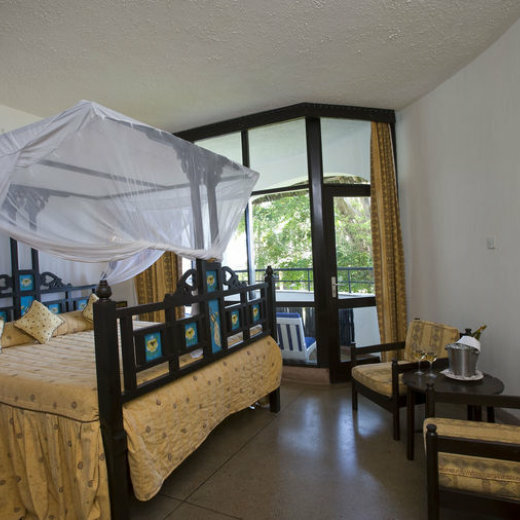 All our rooms and suites offer; air conditioning, mosquito nets, anti-allergy bedding, telephone and W-LAN access, hair dryer and toiletries, room safe, dressing table, room service and wake up service. Enjoy various international cuisines from the restaurants, Choose from the delicious menu created by the hotel's head cook on board including lobsters, crabs and fresh oysters. For dessert, it is a pleasure for us to serve you an exotic mousse made from passion fruit. The old stranded sailing dhow offers an award winning á la carte seafood and international cuisine.